Andrew Lamb has been appointed as head of digital strategy at Red Door Unlimited, a member of the Health Unlimited group. 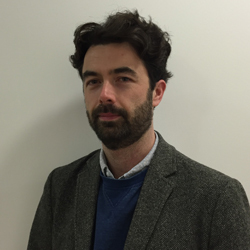 He moves to the healthcare communications agency from Remedy Digital where he was digital strategy director, responsible for working with its European healthcare clients on online communication of brands to HCP, patient and public audiences. Prior to Remedy Lamb served at Ketchum's Inspired Science as a senior digital healthcare strategist and at Ogilvy Healthworld as a digital manager in medical education. Meanwhile, Liberation Unlimited - another Health Unlimited agency - has appointed Amy Morgan as its new account manager. She will focus on the agencies' social and digital offerings in medical education and PR programmes for oncology and neuroscience profiles. Prior to joining the agency, Morgan worked on accounts in patient advocacy for cancer immunotherapy, hepatitis C treatments and migraines for Firstlight PR and Hill and Knowlton Strategies.